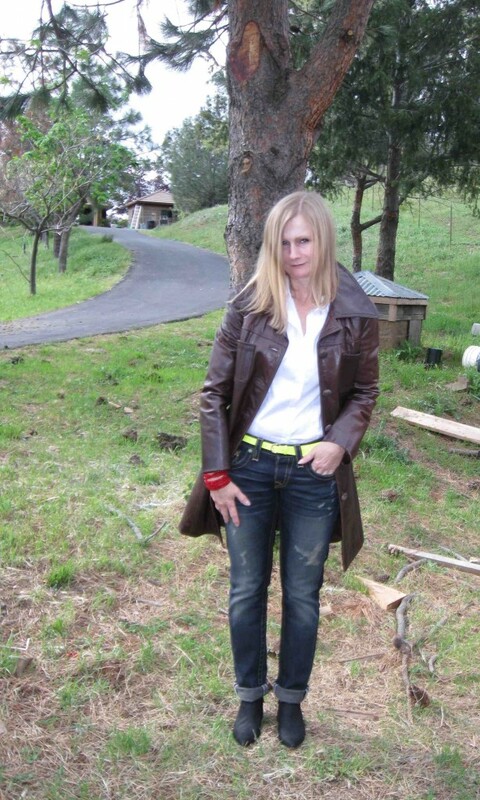 Picture #1 -- Old leather coat from 1995, new distressed True Religion jeans, Edmundo Castillo spike heeled, pointy toe shoeties, Limited white shirt via TJ Maxx, J Crew neon leather belt, red bracelet from Ideeli. I never realize how many unpaved dirt and gravel roads I have to walk on until I wear these shoes. Thanks for looking and commenting!! 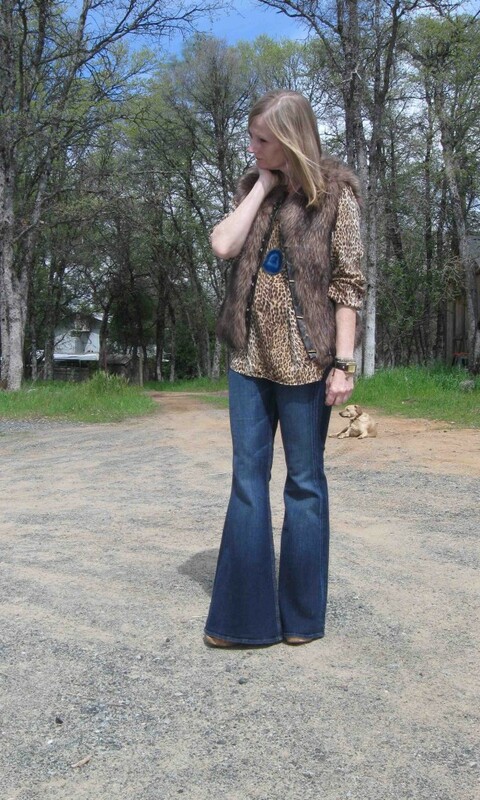 I saw this on Aida's thread, it inspired me to pull out my furry vest and go Boho (pictures 1 & 2). Now I am waving goodbye to my brown things for the season, this feels a little wintery for a Spring day! On a short trip to Tahoe I was able to meet up with the fabulous Mo/Malina who is very happy to be in the mountains again. Upon meeting Mo IRL, I was struck by her intelligence and beauty. She is so fab, and seemed to know EVERYONE in town. Plus she scored me TWO locals-only discounts! 2 -- Our lunch at McDuff's pub. Since both of us work in restaurants, we had a lot to talk about! 3 -- My new True Religion jeans! Like I said, Mo scored me a local discount but these were still the priciest jeans ever for me. However, I haven't wanted to take them off since. They have no stretch in them yet they conform to your body over time. And they do not fall down. 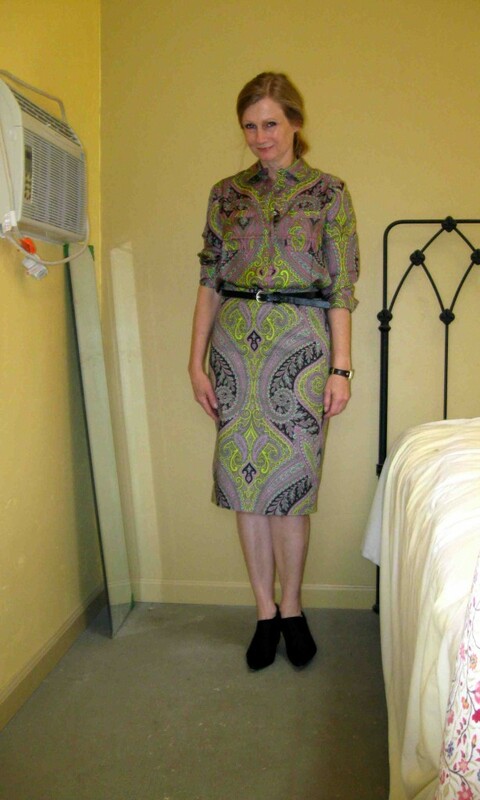 These are a boyfriend cut; I sized down for a straight-leg fit. Sooooo nice not to have tight thighs for once. WIW pic isn't up to my usual standards; it was hard to take outside shots because #4 shows you the weather we were having! Mo -- I downsized the pictures but some don't seem to go below 600 kb. Just curious what the download speed was like for you?